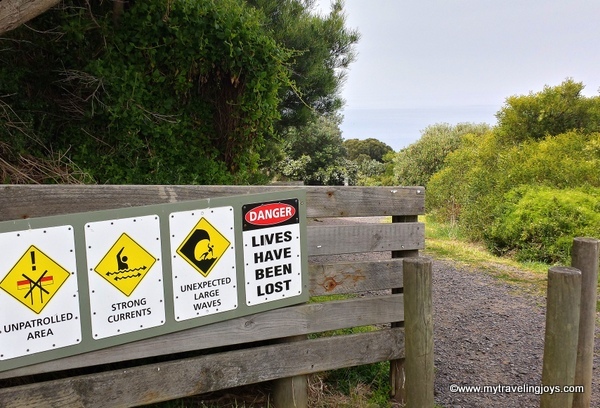 Danger: Lives Have Been Lost, screamed the sign marking the beginning of our hiking trail. Other signs warned us of dangerous currents, unstable cliffs and unexpected large waves. “Are you sure we should do this trail?” I asked my husband as I second-guessed the tourist information lady who told us about this trail near Phillip Island. “Sure, as long as we don’t go off the trail or near the cliffs OR run into any snakes,” he told me. I’m all for adventure and I love hiking, but since we moved to Australia, I’ve learned that a lot of things either want to injure or kill you here. You need to watch out for deadly snakes, venomous spiders, toxic jellyfish, man-eating sharks, stingrays, crocodiles, the Outback and the seas. I’m sure my mother worries about me all the time. 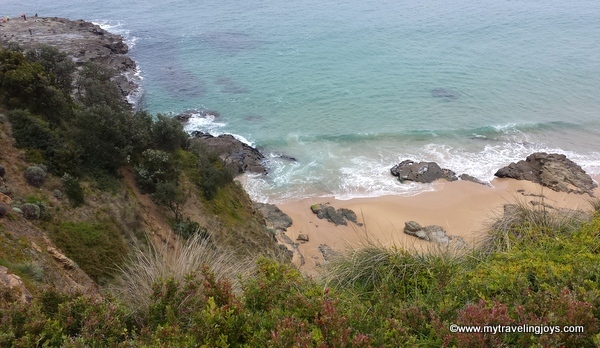 With a little bit of trepeditaiton, we headed out on a 7km-return hike (about 8.5 miles) that follows a winding path along cliff tops rising high above the stormy waters of the Bass Straight. The trail is named after English explorer George Bass, who “discovered” this Victorian coastline in 1797 after setting out from Sydney to prove the existence of a straight between New South Wales and Tasmania. 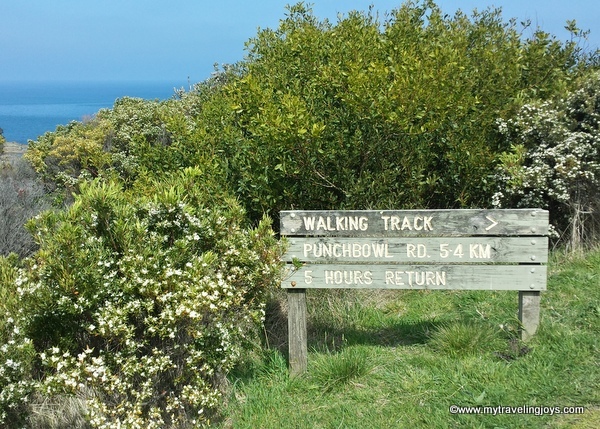 We parked our rental car along Punchbowl Road and started walking from there. Just don't get too close to the edge! The trail started out easily enough, following a freshly-mown path lined with lush green and flowering bushes. Then, we encountered a random sandy section with needle-like pine trees, which offered us some shade from the sun. Next, we ran smack into the coastline featuring perpendicular bluffs and outcrops. Great for landscape photos, more strain on the legs though. One minute I was standing close to a clifftop edge, and the next, I was walking through grasslands filled with wildflowers. Cattle were grazing in the distance in the surrounding rolling hills. 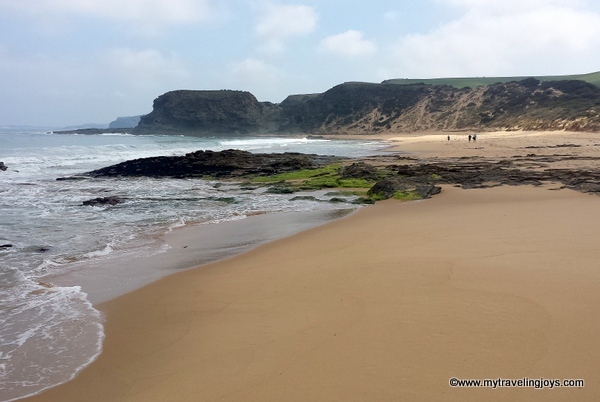 Once again, the landscape changed and we found ourselves trekking across a wide, open beach with no one else in sight. Signs along the beach warned us against swimming because of the strong undertows, and fishing was allowed only in designated areas because of the unexpected large waves. Hence, the Danger: Lives Lost signs earlier in the trek. During the last leg, I kept wondering if we would ever get to the end at the tiny town of Kilcunda where we had been promised a cold beer. The treeless path offered no solace from the sun that beat down on us in the beginning of spring. If you do this trail during summer, definitely make sure you bring plenty of water along. A little over two hours after we started, we left the trail and crossed the Bass Highway to the Ocean View Hotel for a late lunch. We were both famished and thirsty, and the restaurant was crowded and disorganized. We finally went over to the bar half of the restaurant where we ordered two cold ciders and cheeseburgers. We figured we burned off enough calories for this cheesy treat! 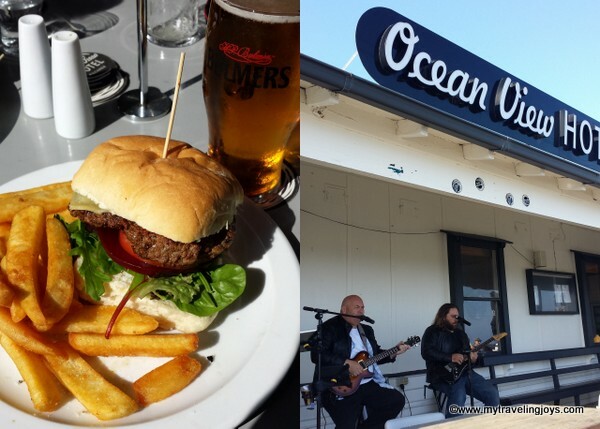 This country pub made me feel like I was back in my homestate of Nebraska – complete with live blues music and a rural setting. The air-conditioned bar offered us a chance to relax and refuel for the second half of the trek. We pretty much knew what to expect from the next two hours, except for a section we did away from the beach. Overall, I’d say the trail is good for average to skilled hikers, with a few steep parts that will test your legs. Plan on about 4-5 hours for walking and a little more if you want to stop for a beer like we did. Also, we encountered few people along this trail and there’s no place to buy water or snacks along the way. Luckily, we didn’t encounter any snakes or treacheries caused by Mother Nature on this whole hike, and we did enjoy the beautiful landscapes. Just stay away from the clifftop edges and don’t stray off the path where you shouldn’t be and you’ll be fine. At least Australia didn’t try to kill us on this trip! Surprisingly this sign was correct. Plan on 4-5 hours for this hike. Nothing but the two of us on this sandy beach! Wow, what great shots, Joy! I agree about the dangers of Australia, though, you really have to be careful in the countryside there, and at the seaside. Although, that said, it is still a wonderful place to be! When I was younger, I watched an Animal Planet show highlighting a deadly Australian spider that likes to hide in shoes. In the show, these people from Sydney kept their shoes stored upside down to keep the spiders out. After that, I had zero interest in ever going to Australia. The scenery there sure is pretty, though! the scenery is gorgeous. we might be hotter here right now that you! we are having the warmest fall on record. what a bummer! 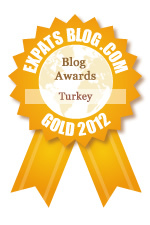 You survived the streets of Istanbul without being run over by a bus or taxi - you can survive anywhere.